This procedure demonstrates how to mount and install your own Operating System (OS) using Intelligent Platform Management Interface (IPMI). NOTE: Servers in our Amsterdam, Dallas, Santa Clara or Singapore data centres are not KVM-IP ready. IPMI is the common tool. Contact iWeb Customer Service to request access to IPMI. 1: Click on Remote Control, Console Redirection. 2: Click on Launch Console. 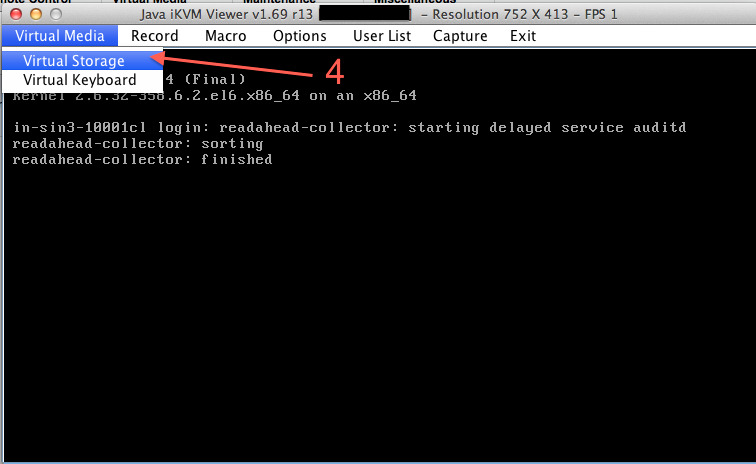 You will have access to an interface similar to that of a KVM-IP. 3: Click on Virtual Media and Virtual Storage. 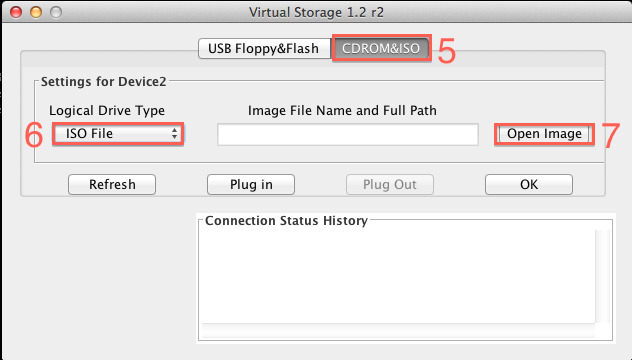 4: Select the CDROM & ISO tab. 5: Choose the ISO File Type in the Logical Drive Type section. 6: Locate your ISO CD in the BIOS and select it as a boot option to install your operating system.